Lost Arrow Direct V 5.8 C2+ was our last climb in Yosemite. An aesthetic line with great friends completed in style. Neil and I finished off our time in Yosemite Valley with the Rostrum and Lost Arrow Direct. We climbed L.A.D. 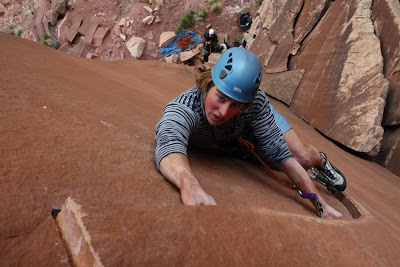 in true big wall style with four climbers. The Tyrolean traverse from the cumbre to the rim after dark was the highlight of the trip. We left the Valley the next morning after exchanging monkey calls with friends on Mescalito. 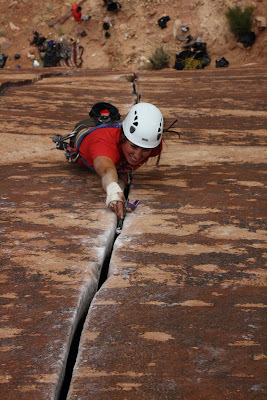 Stay tuned for splitter cracks in Indian Creek, UT and Patagonia 08-09 climbing season.